Did you know : that healthcare fraud estimates in the United States exceed $68 billion annually? Did you know : the Federal Government won or negotiated over $2.5 billion in health care fraud judgments and settlements worth a total of over $1.9 billion in FY 2015? Did you know : that when differentiating fraud from waste and abuse, the distinctions are intent and benefit? Did you know : that what you interpret as a mistake may be pursued as fraud based upon a pattern of your behavior? 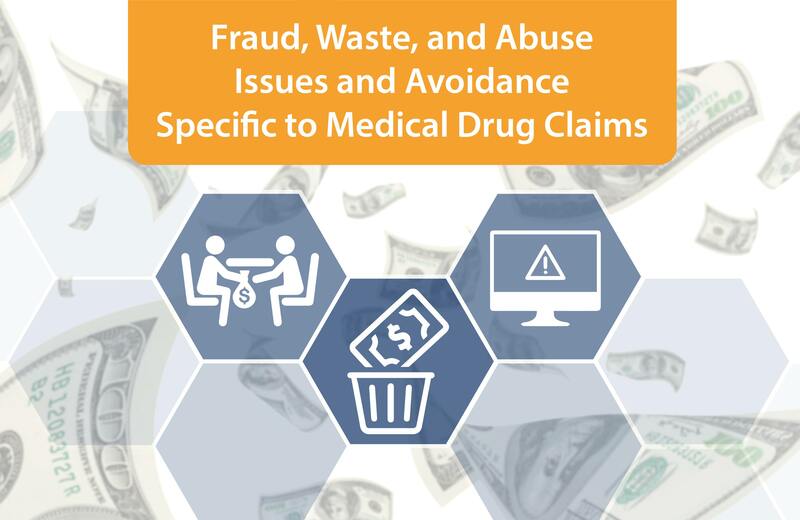 RJ Health's Clinical Informatics Pharmacist, Laura Benson (PharmD, RPh), has produced an excellent primer on Fraud, Waste, Abuse, and Avoidance, Specific to Medical Drug Claims. Part 1: Reviews fraud, waste, and abuse including estimated U.S. volume, definitions, investigative bodies, and potential impact. Compliance issues specific to the medical drug claim are introduced. Part 2: Narrows the topic specific to medically administered drug claims, with compliance monitoring suggestions for providers. Part 3: Discusses leveraging data external to standard claim fields to identify and monitor for claim outliers with suggestions for implementation. This webinar will provide a brief introduction and examples of FWA specific to medical drug claims, reveal ways to prioritize annual goals for FWA prevention and demonstrate how clinical data sets may be utilized to achieve tighter Medical Drug management controls.